Two levels of renovated shipping containers set this East London shopping enclave apart from the crowd. Boxpark Shoreditch features dozens of independent fashion labels, accessories lines, and lifestyle brands, plus bars and restaurants. Most outlets pop up for a limited time, meaning there are always new offerings to scope out. 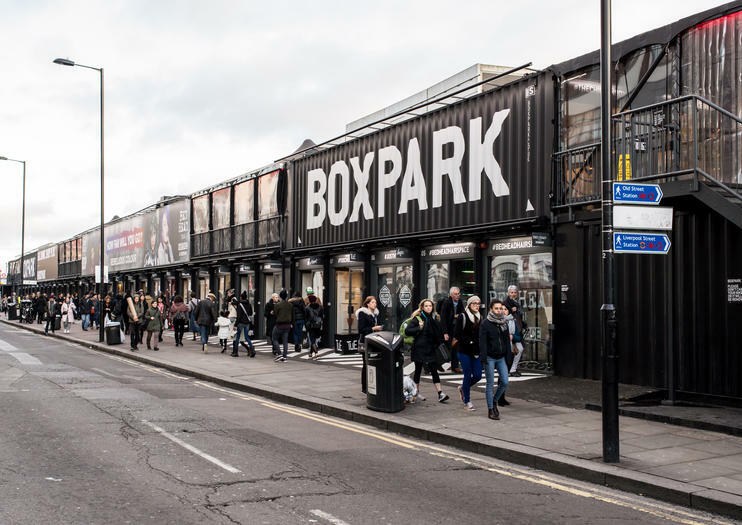 Billed as “the world’s first pop-up mall” when it launched in the artsy East London neighborhood in 2011, Boxpark Shoreditch is made of about 60 recycled, eco-friendly shipping containers. The shopping area hosts a rotating cast of businesses: think urban streetwear, quirky home accessories, independent designers, eyewear specialists, and other cool brands. The mall’s upper deck is devoted to a range of bars and restaurants, which sling everything from burgers to donuts. Boxpark Shoreditch features on food-themed walking tours of the neighborhood, and it’s also simple to visit independently—venture out at meal time to take full advantage of its offerings. Boxpark Shoreditch hosts a number of events, from concerts and DJ sets to football watch parties. The pop-up mall is not accessible to wheelchair users, due to a faulty service elevator. Guide and assistance dogs are welcome on site. Boxpark Shoreditch closes to visitors aged 18 and under after 8pm.  Boxpark Shoreditch is located next to the Shoreditch High Street Overground Station. Liverpool Street Station—served by the Central, Circle, Metropolitan, and Hammersmith & City Underground lines, as well as additional Overground and National Rail services—is a 10-minute walk away. The site is also accessible by a number of bus lines, including the 8, 26, 35, 47, 48, 67, 78, 135, 149, 205, 242, and 388. It can be reached on foot, by bike, or by taxi. Boxpark Shoreditch is open daily from late morning to late evening. Restaurants stay open later than shops, which also close earlier on Sunday. Individual hours can vary from business to business. Shoreditch was the location of the first Boxpark, but the pop-up mall is now expanding to other corners of London, including Wembley and Croydon. Further locations—including some located overseas—are in the planning stages. A must for anyone who loves street art, this is not your classic Shoreditch guided tour as it goes above and beyond the main Brick Lane graffiti that most people see in the area and make you embark on a truly unique experience. Get ready to venture into hidden alleys, quirky gardens, local markets whilst enjoying the best music that has been produced in the area. Filled with trendy eateries, vintage markets, pop-up shops and the biggest display of street art you can see in Central London, Shoreditch combines the old and the new in a very unique way. Learn where to find some of the few remaining Banksy art pieces in London and see many more exciting artists, such as Jimmy C, Dreph depiction of London, Mr Cenz, Grimshaw and many more. Walk amongst an intricate open air art gallery, one that constantly changes and evolves to give voice to the creativity and ideas of artists from all over the world and watch out as you might be lucky enough to spot some artists in action too.